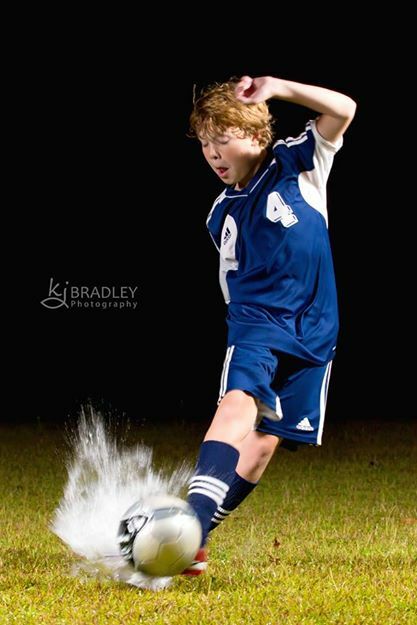 Last fall, I shared the following picture of my son kicking a wet soccer ball with a dark background. We set it up one night just to see if it could be done. Little did I know it would get me the “Cool Mom” award from my son! 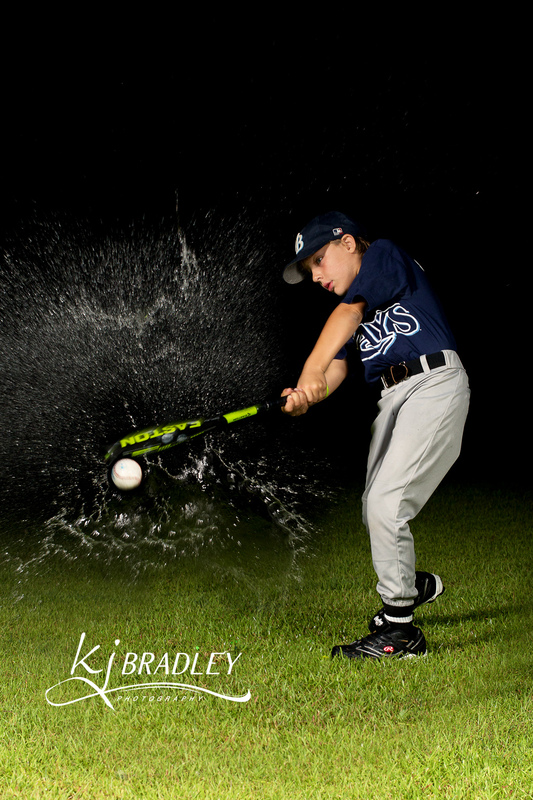 Of course you can’t do for one son without doing for both so this spring we created a similar image for my baseball player. Here’s how his was done. Photos were taken at night. 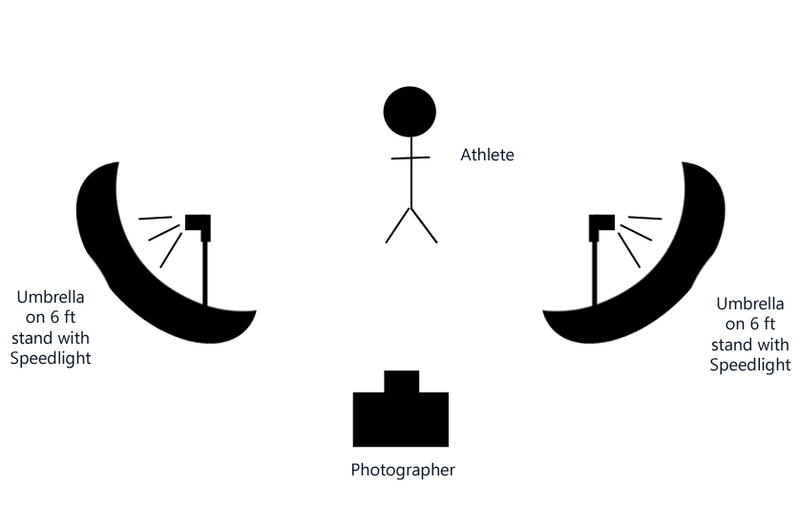 A flashlight was used as a modeling light. For the soccer shot, a Ziploc bag was placed behind the ball with the zipper up so that it would splash upward when the ball was kicked. The player was instructed to kick the ball at an angle so that it would not hit the camera. A 70-200 mm lens was used to allow the photographer to maintain a safe distance from the splash. For the baseball shot, the balloon was placed on a tee (mainly because of the skill level of the player). The balloon created a splash. Next a photo was taken of the player swinging the bat. Finally a shot of the ball was taken. The three shots were combined to create the final composite shot. Because the balloons do not hold much water, there was no splash danger to the tall lights or camera. A 50 mm lens was used.